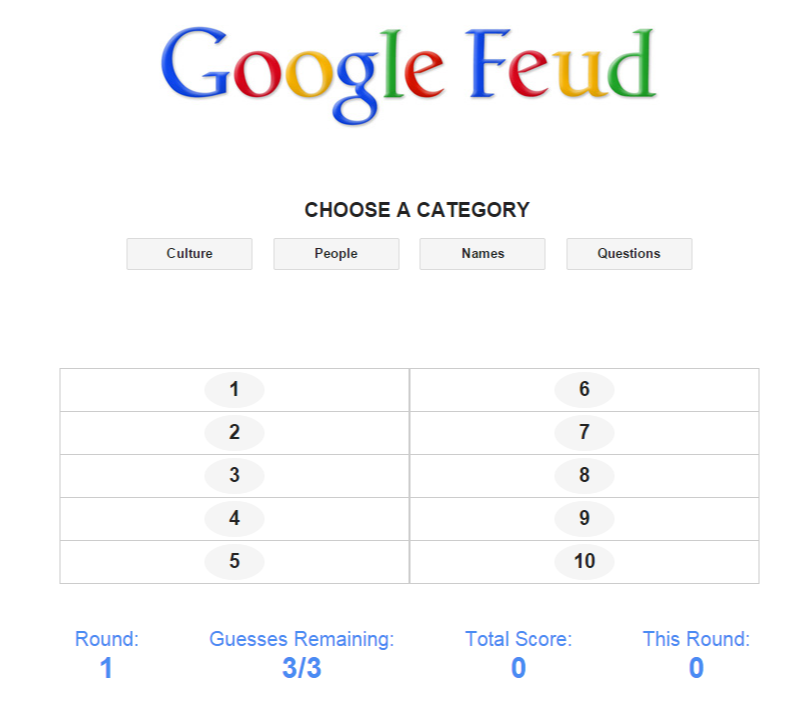 Google Feud is a fun game Google has made that has players try to guess what Google's auto-complete will say to answer a question. It is easy, fun and makes you think. It is like family feud where you have to get the top most popular results to get the answer correct. One warning to schools: certain results may be offensive or incomprehensible so it may not be acceptable for schools yet. Choose a category and try to answer the question. It tallies your score and moves you on to each round. It's funny too since some of the answers are a little out there.